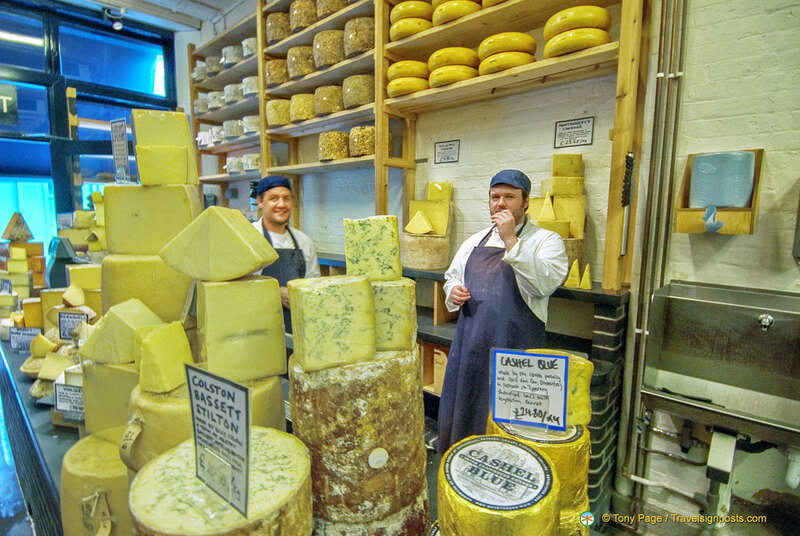 Stilton Cheese, the King of English Cheeses takes its name from the Cambridgeshire village of the same name. Apart from tasting delicious, here are some interesting facts about this cheese. Colston Bassett Dairy, Cropwell Bishop, Long Clawson Dairy, Quenby Hall, Tuxford & Tebbutt Creamery and Websters are the only six dairies in the world licensed to make Blue and White Stilton cheese. So next time you buy some Stilton, check that they’re from one of these six dairies. Stilton is a trademark protected name cheese and both the Blue Stilton and White Stilton are covered under the EU Protected Destination of Origin (PDO) certification. By law, Stilton can only be made in the three counties of Derbyshire, Leicestershire, and Nottinghamshire. No one person invented Stilton – it evolved over time from its original pressed cream cheese to today’s unpressed semi-hard blue veined cheese. It takes 78 litres of milk to make one 8 kg round of Stilton cheese to the legally binding recipe. Each cheese matures for 3 months after which the blue veins appear naturally as oxygen is allowed to enter through holes pierced by stainless steel needles. Over 1 million rounds of Stilton cheeses are made each year. More than 10% of Stilton output is exported to some 40 countries world-wide, which means that nearly 900,000 are consumed in the U.K. — that’s a lot of blue cheese! White Stilton is sold at about 4 weeks of age. It is a crumbly, creamy, open textured cheese which is now extensively used as a base for blending with apricot, ginger and citrus or vine fruits to create unique dessert cheeses. There are 410 calories per 100 gm of Stilton – less than I thought! Hi. Can you tell me something about the brown crocks that Stilton comes in? I have a few and I use them all the time for keeping small things. As if I needed a reason to eat the cheese! Hi. Can you tell me someting about the brown crocks that Stilton comes in? I love them, and the cheese, and use them for keeping small items safe.